When your girlfriend has amnesia, wake up on the next morning, forget about you... and you have to win over her every single day. 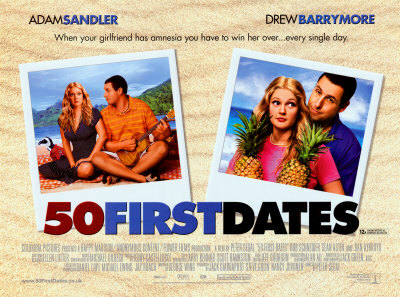 Watched 50 first dates, recommended by my friend a year ago. 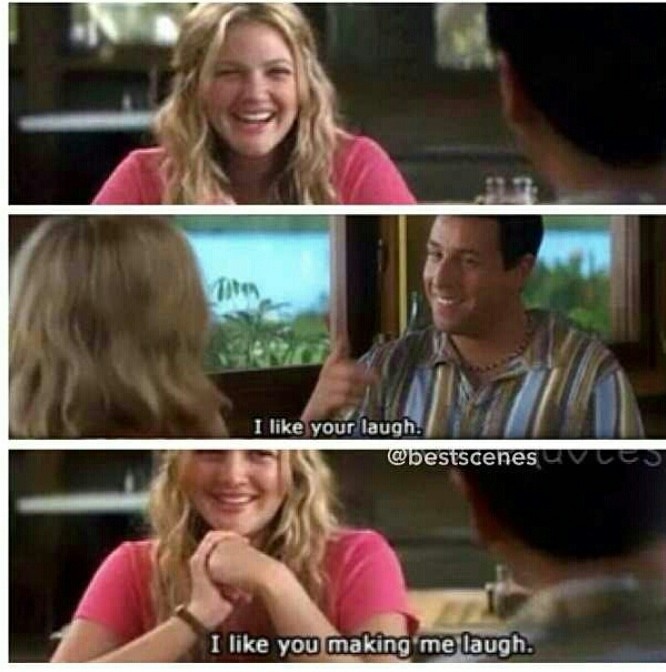 It's a 2004 movie and I really love this kind of romantic comedy film. The ending was just too lovely :') and made me shed a tears. This man tried so hard to make his girlfriend fall in love with him everyday. Young Woman: So, you must be Lucy’s friend. The one who made the tape. Lucy: I think he’s more than my friend. You’re my boyfriend, right? Stacy: So every day you help her to realize what happened and you wait patiently for her to be okay with it… then you get her to fall in love with you again? Love everyday as it is your first date. Received your msg when I was just about to send you one.